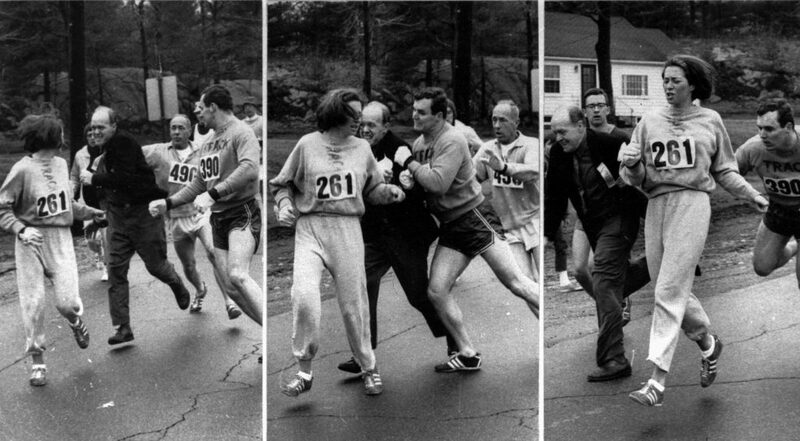 Kathrine Switzer changed women’s running forever by completing the Boston Marathon in 1967. Today she is still running and promoting the sport. Kathrine Switzer did more than just become the first woman to finish the Boston Marathon back in 1967. In the process she dragged the male power brokers who controlled the event kicking and screaming into the 20th century. And she showed women around the world what they were capable of. Not bad for a then 27-year-old visionary who has been speaking up for women ever since. After entering her initials K.V. to officially register for Boston, the women’s running movement would be forever changed. Despite Race Director Jock Semple’s attempt to physically remove her from the course, she crossed the finish line in the 26.2 mile race, shattering the gender barrier in the process. Later, she would help establish the inaugural women’s marathon at the 1984 LA Olympics. Fast forward to today, there are more women participating in what is now a global running movement. In a phone interview from Switzer’s home in Wellington, New Zealand, the energetic 68-year-old legend talked about the changes in competitive running since she started and shared some tips for running long term. In her view, you are never too old to start running. “I know of a Vancouver runner who started running after age 60 to lose weight. She inspired me to run when I was 62. The new runners today have an older body but young legs. Not like me, I have over 50 years of running,” She laughed. Switzer continues to run and is training for the 2017 Boston Marathon. 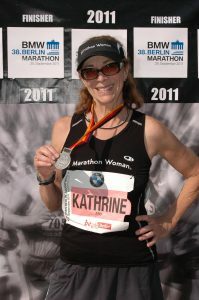 She’s run 39 marathons and won the 1974 New York City Marathon. In 1975, her two-hour and 51-minute marathon in Boston was ranked sixth in the world and third in the USA in women’s marathon. The women’s running movement has also changed fashion-wise. In the 1960’s and 70’s women’s running clothes weren’t feminine. “You had to look like a man,” Switzer said. Today’s clothing is styling but comfortable. She changed the face of her sport by motivating women to start running and become contributors. Some have become role models in countries such as Kenya and Ethiopia where women are treated like third class citizens. The women there tend to have many children. With limited access to water, they carry huge plastic water jugs on their heads, and live with minimal sanitation. 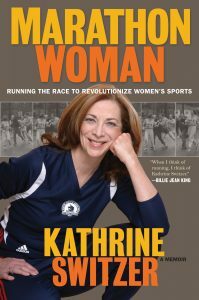 In her 2007 book Marathon Woman, Switzer noted that women themselves could be the hardest to win over in the battle for acceptance of women’s sports. Sometimes a car would come too close, driving her off the road, only for her to see a woman at the wheel. 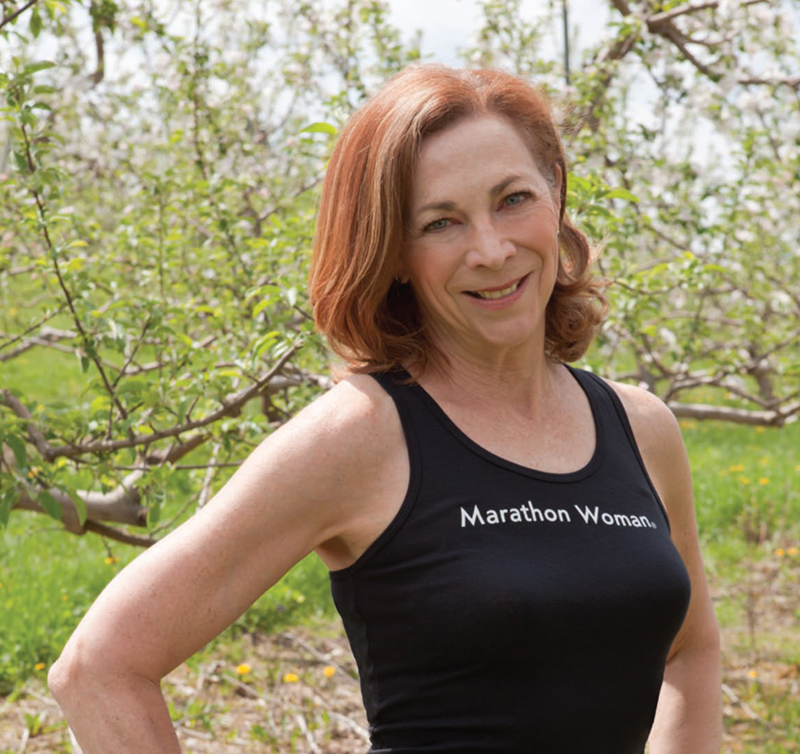 Learn more about Switzer online at Kathrine Switzer Marathon Woman.